Maybelline Makeup 100 Years Old! 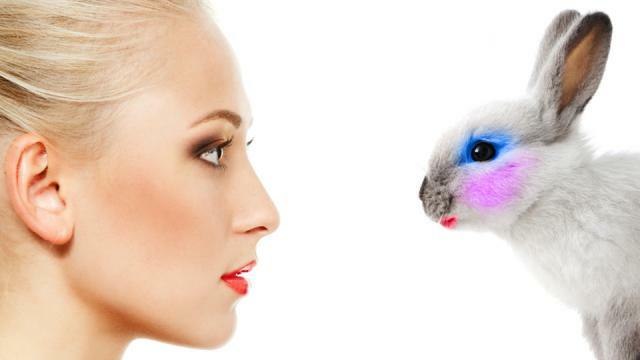 Cosmetics animal testing to find out hypoallergenic properties of different cosmetics products and to know whether or not the products are safe for humans to use has been banned in many countries and new regulations to ban the same is in the works in many other governments around the world. 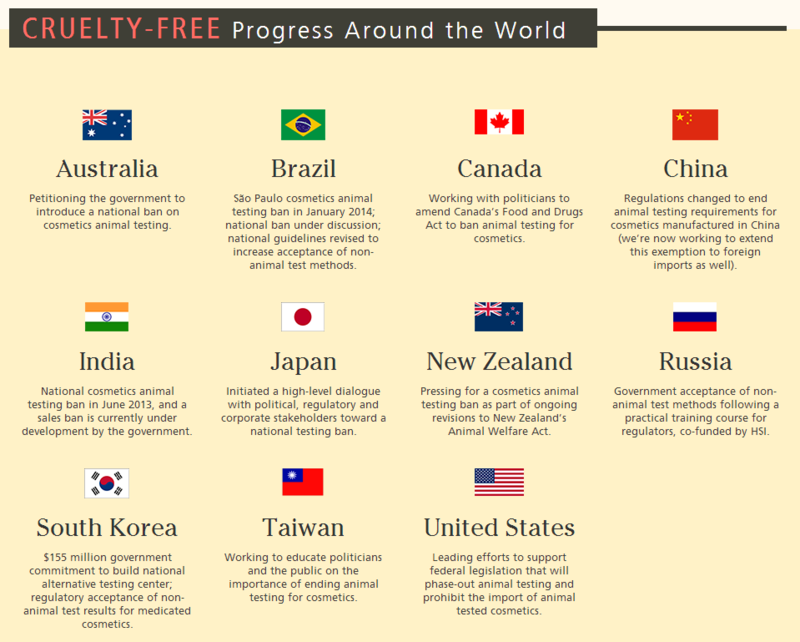 Thanks to new technologies available today, it is not necessary to test beauty products on animals, and although it is still the cheapest method, animal cruelty is no longer allowed in the following countries. The 28 states of the EU were the first to ban animal testing of cosmetics products. After banning the sale of finished products tested on animals in 2004 and the use of ingredients tested in animals in 2008, in March 2013, European Union announced a full ban on both sale and import of cosmetics that are tested on animal or contain ingredients tested on animals. Since the EU is a huge market for all manufacturers all around the world, this decision pushed cosmetics companies in places like China and South America to find alternatives. Norway banned animal testing of cosmetics around the same time as the European Union. However, their regulations only apply to new products. Cosmetics that have legally been tested on animals in the past and are currently on the market, are allowed. Also, some pharmaceuticals, such as Botox, are exempted from these rules. The third country to ban the sale, marketing and import of all cosmetics, detergents and toiletries that have been tested on animals. The law was first developed in 2010, but took effect in 2013. India was the first nation in Asia to completely ban animal cosmetics testing. This law came after many animal rights campaigns by Maneka Gandhi and PETA India. India also posed serious punishments on those that violate the law – 3-10 years in jail and a Rs. 500 to Rs. 10,000 in fines. To make sure everyone follows the new regulations, non-animale tests were made mandatory. New Zealand was the next country to give in to international pressure and national campaigning and made it illegal to use animals in the testing of cosmetics products and their ingredients. Unfortunately, it is still legal to import cosmetics that have a background of animal testing, which actually makes the majority of the products sold in New Zealand. Many other countries have made plans to either completely ban or to limit and regulate animal testing better. Even China, where it is still mandatory to test beauty products on animals, has taken steps to remove this requirement from the laws. South Korea has started a 5-year plan for Animal Welfare, including implementing a ban on all animal testing for cosmetics industry and even marketing any of such products. United States and Canada have both also announced that they are starting programs and introducing legislations that forbid animal testing for products made in the country and the sale of imported products with animal testing background. Canada will only allow some government authorized testing on wide use cosmetic products and ingredients to evaluate their potential health risks on humans. Argentina is another country that has introduced legislation to slowly phase out animal testing of ingredients used in the cosmetics industry and the sale of all animal-tested products. Besides whole countries, there are also some bans made on a smaller scale. For example, Sao Paolo in Brazil and the states of California and New Jersey have introduced their own bans on animal testing of cosmetics. With the way the world is going today, there is no doubt that more and more countries will give in to the pressure from others and forbid all and any animal testing on different beauty and cosmetic products.